More information about volunteer work in for example Peru. If you ended up on this site, you or someone in your area probably has a burn and you are looking for information or help. After my treatment the burns will heal very quickly and the burn will no longer be painful. Either the wound care or the dressing change will no longer be painful due to my treatment. The scars that may possibly arise from the burning of the skin will be less or even nil because of the rapid wound healing of my treatment. After finishing the telephone conversation I will directly subject myself to your burn and start the treatment. I can come to you if the burn is extensive and very serious. This will always be in consultation. If you have any questions please do not hesitate to contact me. This can be done by calling me or sending me an e-mail. I try to answer as quickly as possible. On this site you will find more information about the treatment I’m offering, WHO I AM, WHAT TO DO, WHAT TO EXPECT, COSTS, VOLUNTEER WORK in Peru and REACTIONS from patients. Every patient responds well to my treatment, in the sense of pain reduction/ total pain disappearance. Either wound healing will accelerate and scarring will be minimized. 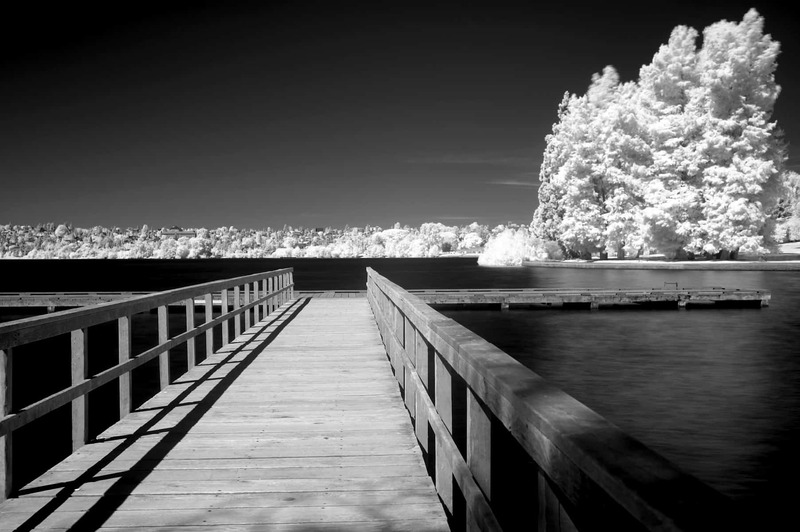 The pace of pain relieve relates to the duration of the wound. The faster I can start with giving treatment, the better and quicker the results.Example: 30 minutes ago you have obtained a burn, subsequently you have contacted me. As a result, the pain will start to recede within 30 minutes and the healing process will accelerate.In response to the replies I received, the patients experience my treatment in different ways. Most of the patients describe the effects of the treatment as sharp reduction in pain whereby a numbing sensation occurs. As time progresses, the numbing feeling of the wound will eventually flow smoothly into a normal feeling of the skin. Although the burn is significantly visible, the wound won’t be painful after the treatment.Normal wound care is still urgent, since my treatment only effects the healing process (acceleration of healing and pain relieve). For this reason, it is important to consultate a physician directly after burning. You might notice that you will sleep well. Keep in mind you touch the wound as little as possible. Friction and touch will impede the functioning of my treatment. Good to know: my treatments have a significantly high success rate of 98%. If you would like to have a more extensive explanation and information of the functioning of my treatments, please READ the open study of Dr. J. van Hemert. 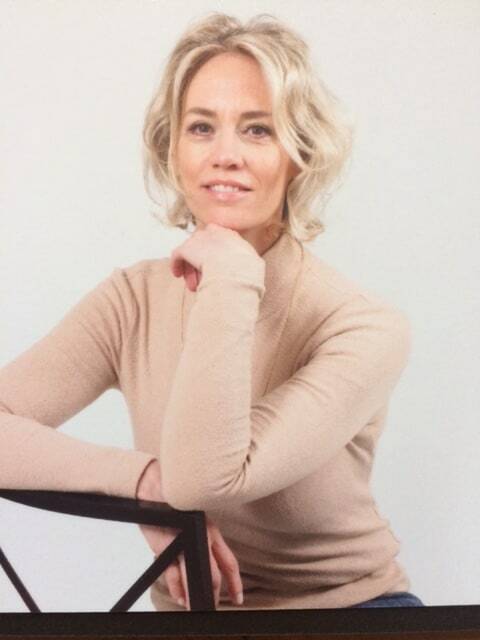 My name is Claudia Heerdink, 53 years old and I am a fysiotherapist by profession. Since my twentieth I possess a treatment technique which cures and relieves every type of burn very quickly. The last 10 years I focused specifically on treatments that are in relation with burns. In doing so I have treated hundreds of patients. As you can read under the first two headings, the burns will heal quickly after my treatment and the pain of the wound will be minimized/ disappear. Reflecting on the outcomes of the treatment it can be stated that the results are fenomenal. For this reason I’d like to help as much people as possible. It is my priority in life to help people from all over the world with burns. I’ve been delighted with the results from the research by dr. J. van Hemert (neurologist), which STUDIED my treatment from a scientific view. Pain reduction and faster wound healing applies to 98% of my treated patients. An elaborated explanation of the technique I’m using can be read in the REPORT of dr. J. van Hemert. Another likewise study has been done in France in the year of 2007 by dr. Perret. If you would like to read more about this study you can click on this link: SCIENTIFIC RESEARCH. In contrast to the Netherlands, this type of treatment/technique is acknowledged and integrated in multiple hospitals in France. It would be much more convenient if this situation will be the same in the Netherlands, but regrettably it is not. In addition to giving treatments to people from the Netherlands, Germany and Belgium, I have treated people from Peru as well. As I stated I feel it is my duty to help as much people as possible so for this reason I’ve been to several child hospitals in Peru to do volunteering work in combination with giving burn treatments. Sadly the situation in Peru is distressing as there is lack of almost everything. Think of pain medication, ointment, knowledge etc. Children in Peru are in a higher risk to get a burnwound due to their social and economical situation and bad prevention from the government. Working in an environment where children become victims of a bad social-economic situation brings me even more willpower and initiative to help burn patients. I’m very grateful that I’ve been put in this situation to help people from all over the world. The aim, therefore, is to help as much people as possible in the future from anywhere in the world. Click HERE to read more of my work as a volunteer in Peru. If you or someone in your surroundings have obtained a burn, you first need to follow the First aid guidelines: cooling with lukewarm running water & get in touch with a physician. During our telephone conversation I will ask you if you have followed the First aid guidelines as these are part of the basic precautions. Then I will ask you in which location you are at the moment and what your surname is. Lastly I will ask you to describe the exact location of your burn wound. It is of great importance to describe this in perfection, as I need to know the exact location on the body to let the treatment work successfully. This whole telephone conversation will last no longer than a couple of minutes. After finishing the telephone conversation, I will directly start with giving treatment. There is no need to come physically to me first. To achieve best results, it is important to let the burn wound alone. Every type of friction will impede and disturb the effectiveness of my treatment. Furthermore touching of the wound will enhance pain reduction negatively. This means that pain can possibly return. With exception of (other) advice from a physican, this advice must be followed precisely. It is of great importance to know that I only give treatment which is personally approved by the patient. If the patient is under 18 years, parents can call for a treatment for their child. But if, for example, an animal has a burn wound it is also possible to call me. My treatment works effectively on every type of skin, even if this contains animals. For severe or extended burn wounds I can come to you personally. Of course in agreement with the patient. If you are staying at a hospital, I’m in need to get an approval from your doctor or physician. Furthermore I give presentations about my treatments to doctors, nurses and physical therapists. It’s for this reason no problem to contact me if you want more information about my treatments. If you’re interested in personal presentations please feel free to CONTACT me. If you are satisfied with the results from my treatments I would be enormously gladdened with a voluntary contribution of 50 euros (Of this 50 euros is 25 euros for my volunteer work and 25 euros for my expenses). With voluntary funds I can reinvest in other relatable projects like my work in a child hospital in Cuzco and Lima. Your support in the form of a financial contribution will be very welcome and of essential importance for the recovery and help of burn patients. 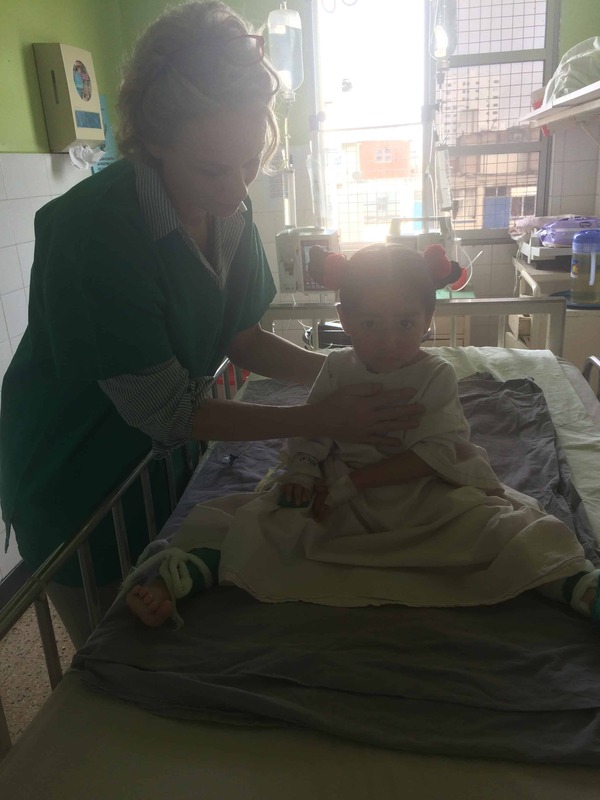 For a couple of times a year I work as a volunteer for a nonprofit organization in Peru, in doing so I use frequently my treatments to redeem children from their burn pain. It is for this reason I’m asking my patients, if results are satisfactory, to give a voluntary contribution. If you want to read more about my experiences in Peru, click HERE. Every donation will be greatly appreciated. If you still have questions or other ambiguities, please CONTACT me. You can transfer your voluntary donation on bank account: NL12 INGB 0003 6439 97 in the name of C.M.J Heerdink. Please mention “help by Burns” in the transaction description. For over 15 years, I treat burn patients on a voluntary basis in the Netherlands, Germany and Belgium. It is my passion to give treatments to as many people who have suffered burns to ensure pain reduction and improve wound healing. HoPe Foundation (www.stichtingHoPe.org) asked me to come to Peru to give my treatments in a burn center in the Hospital Regional del Cusco. 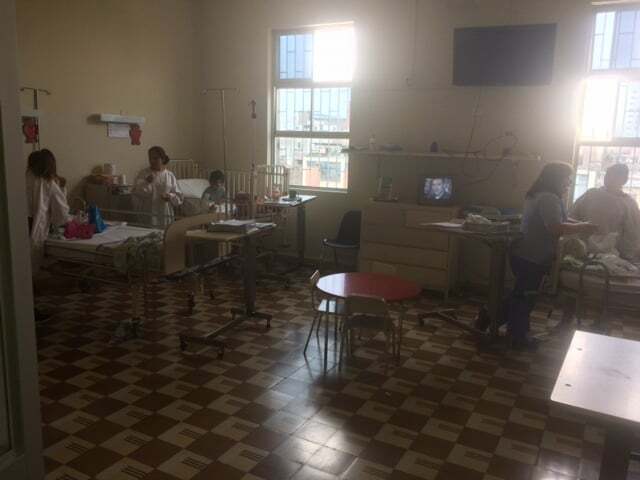 The HoPe Foundation has been providing assistance to the burns department in the hospital in Cuzco for 20 years and this is one of the many projects that the HoPe Foundation supports.